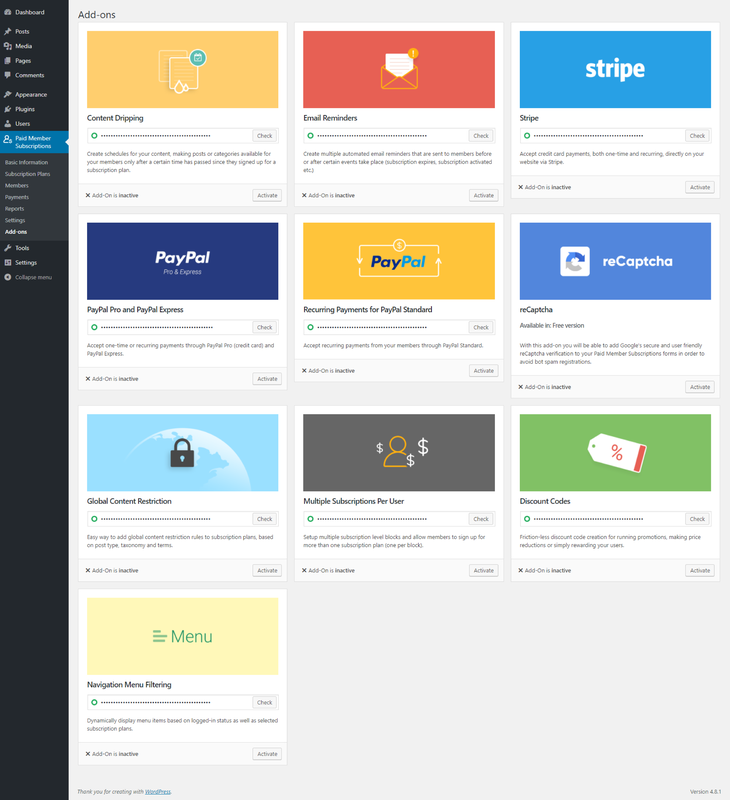 Paid Member Subscriptions comes with a range of Basic and Pro Add-ons that allows you to extend the functionality of the plugin. You can check out all the available add-ons by visiting the “Add-ons” sub-page from the plugin menu. Available with a Paid Member Subscriptions Hobbyist or Pro licence only. bbPress – Integrate Paid Member Subscriptions with the popular forums plugin, bbPress. Restrict your forums and topics and allow only premium members to have access to them. Labels Edit – Edit any label that is coming from the Paid Member Subscriptions plugin. Available with a Paid Member Subscriptions Pro licence only. Invoices – Automatically generate PDF invoices for subscription payments, which are downloadable by both clients and the admin.